Aslo known as a BFA, prenuptial agreement or financial agreement. A binding financial agreement refers to a range of different types of agreements that are enforceable by law. What makes a binding financial agreement binding? (e) the agreement has not been terminated and has not been set aside by a court. If the above requirements were not met, then the BFA would not be binding. As you can see, binding financial agreements are complex. They require not only understanding of how to make an appropriate agreement and how enforceable can agreement will be, but also to ensure that the processes required to make the BFA enforceable are in fact followed. Clearly, without help from a legal practitioner a BFA would not be enforceable in court. So help from a lawyer is not only recommended, it is in fact required. 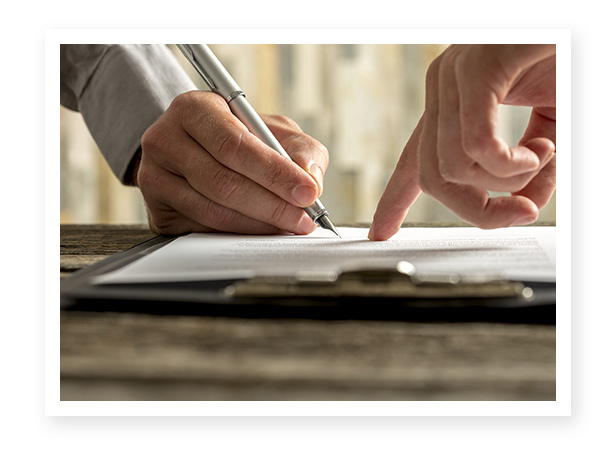 We have provided our clients with binding financial agreement advice for over 35 years and are highly experienced in all aspects of these agreements from the negotiation, creation, revision, advice, exchange and enforcement of such agreements. The reason why legal advice is required in the creation of a binding financial agreement is that they are complex, and have impacts into your life far into the future. With such an important document, why wait until the last minute. Talk to us today about how we can help you create a fair and enforceable binding financial agreement for you to have peace of mind into the future.